Professor Morrell researches how organizations and individuals contribute to the public good. His interests branch out to different fields such as Strategy, Sustainability and Leadership. He is known globally as the leading critic of the “evidence-based” approach to business research and for his work on understanding careers. Professor of Strategy, Associate Dean for Postgraduate Research, Director of the Doctoral Programme, Director of the Centre for Organizations and Society, Durham University Business School. Titles in blue link to the published article or an earlier version. Others are unavailable online owing to copyright restrictions, please use the contact form to ask about these. Learmonth, M. and Morrell, K. (2017) ‘Is Critical Leadership Studies ‘Critical”, Leadership, 13(3): 257-271. Arikan, O., Reinecke, J., Spence, C. and Morrell, K. (2017) ‘Signposts or Weathervanes? The Curious Case of Corporate Social Responsibility and Conflict Minerals’, Journal of Business Ethics, 146(3), 469-484. Morrell, K. and Brammer, S. (2016) ‘Governance and Virtue: The case of public order policing’, Journal of Business Ethics, 136(2), 385-398. Jayawardhena, C., Morrell, K. and Stride, C. (2016) ‘Fair Trade and other Ethical Consumption Behaviours in Shoppers’, Journal of Marketing Management, 32(7-8): 777-805. Currie, G., Tuck, P. and Morrell, K., (2015) ‘Contesting, accepting, or escaping normative governance? The narration of tax inspectors’ ‘Professional’ identity’, Accounting Auditing and Accountability Journal, 28(8): 1291-1309. Morrell, K. and Learmonth, M. (2015) ‘Against Evidence-Based Management, For Management Learning’, Academy of Management Learning & Education. Runner up for Outstanding Article in AMLE of 2015. Morrell, K. Learmonth, M. and Heracleous, L. (2015). ‘An Archaeological Critique of ‘Evidence-Based Management’’, British Journal of Management, 26(3): 529–543. Morrell, K. and Currie, G. (2015). ‘Impossible Jobs or impossible tasks? Client volatility & front line policing practice’, Public Administration Review, 75(2): 264-275. Morrell, K. and Tuck, P. (2014). 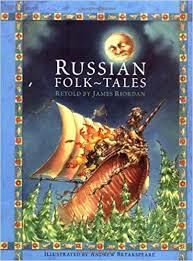 ‘Governance, Tax and Folk Tales’, Accounting Organizations and Society, 39(2): 134-147. Hewison, A. and Morrell, K. (2014). Leadership development in the English National Health Service: A counter narrative to inform policy, International Journal of Nursing Studies, 39(2): 134-147. Lucas, J. W., Morrell, K. and Posard, M. (2013). Considerations on the ‘replication problem’in sociology. The American Sociologist 44(2): 217-232. Morrell, K. and Hewison, A. (2013). Rhetoric in policy texts: the role of enthymeme in Darzi’s review of the NHS. Policy & Politics 41 (1), 59-79. Morrell, K. (2012). ‘Evidence-Based Dialectics’, Organization, 19(4): 461-79. Morrell, K. and Lucas, J. W. (2012). The replication problem and its implications for policy studies, Critical Policy Studies 6(2), 182-200. Morrell, K. and Harrington, N. (2012). ‘What is Governance in The ‘Public Interest’?, Public Administration, 90(2): 412-428. Won the Haldane Prize, an annual best paper award, according to a distinguished jury. Mabey, C. and Morrell, K. (2011). Editorial: Leadership in Crisis, Leadership, 7 (2): 105-117. Morrell, K. (2011). 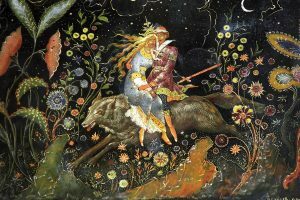 Leadership, rhetoric, and formalist literary theory. Journal of Leadership Studies 3 (4), 86-90. Morrell, K. and Clark, I. (2010). ‘Private Equity and the Public Good’, Journal of Business Ethics, 96(2): 249-263. Morrell, K. and Jayawardhena, C. (2010). ‘Fair Trade, Ethical Decision Making and the Narrative of Gender Difference’, Business Ethics: A European Review, 19(4): 393-407. Morrell, K. (2010). Business schools and economic crisis–Narratives, scripts and schools: counter-scripts as a response to the credit crisis. International Journal of Management Concepts and Philosophy 4 (1), 21-27. Morrell, K. (2009) ‘Governance and the Public Good’, Public Administration, 87(3): 538-556. Morrell, K. (2008) ‘The Narrative of ‘Evidence based’ Management: A polemic’, Journal of Management Studies, 45(3): 613-635. Morrell, K., Loan Clarke J., Wilkinson A. and Arnold, J. (2008). Mapping the decision to quit: A refinement and test of the unfolding model of voluntary turnover. Applied Psychology 57 (1), 128-150. Morrell, K. and C Jayawardhena (2008). ‘Myopia and (Ethical) Choice: Framing, Screening, Shopping’, Journal of Marketing Management, 24(1-2): 135-152. Morrell, K. (2007). ‘Aesthetics and Learning in Aristotle’, Leadership, 3(4): 497-500. Morrell, K and Arnold, J. (2007). Look after the leap: Illustrating the value of retrospective reports in employee turnover. International Journal of Human Resource Management, 18, 1683–1699. Morrell, K. (2006). ‘Policy as narrative: New Labour’s reform of the National Health Service’. Public Administration, 84(2), 367-385. Morrell, K. (2006) ‘Aphorisms and Leaders’ Rhetoric’, Leadership, 2(3): 367-382. Morrell, K. and Hartley J. (2006) ‘A Model of Political Leadership’, Human Relations, 59(4): 483-504. Morrell, K. and Hartley J. (2006). ‘Ethics in Leadership: The Case of Local Politicians’, Local Government Studies, 32(1): 55-70. Morrell, K. and Anderson M. (2006). 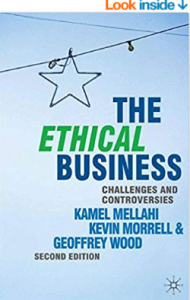 ‘Dialogue and Scrutiny in Organisational Ethics’, (on Enron) Business Ethics: a European Review, 15(2): 117-29. Morrell, K. (2006). ‘Governance, Ethics and the National Health Service’, Public Money and Management, 26(1): 55-62. 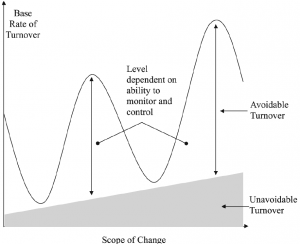 Morrell K. (2005) Towards a typology of nursing turnover: the role of shocks in nurses’ decisions to leave. Nursing and Health Care Management and Policy 49(3), 315–322. Morrell, K. (2004) ‘Decision Making and Business Ethics’, Journal of Business Ethics, 50, 239-252. Morrell, K., Loan Clarke J. and Wilkinson A (2004). ‘The Role of Shocks in Employee Turnover’, British Journal of Management, 15, 335-349. Morrell, K. (2004). ‘Enhancing effective careers thinking: scripts and Socrates’, British Journal of Guidance and Counselling, 32, 547-558. Morrell, K., Loan-Clarke J. and Wilkinson A. (2004). ‘Organisational Change and Employee Turnover’, Personnel Review, 33, 161-173. Morrell, K. (2004). ‘Socratic Dialogue as a Tool for Teaching Business Ethics’, Journal of Business Ethics, 53(4): 383-392. Morrell, K. and Wilkinson A. (2002). ‘Empowerment: through the smoke and past the mirrors’, Human Resource Development International, 5, 119-130. Morrell, K. Loan-Clarke J. and Wilkinson A. (2001). ‘Unweaving leaving: the use of models in the management of employee turnover’, International Journal of Management Reviews, 3, 219-244. (2018) Policing and the Public Good: Governance, vices and virtues. 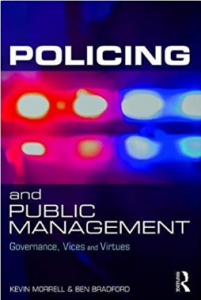 A remarkable work that draws on high theory, inter-disciplinary insights, and a wide-ranging empirical grounding to deliver a new and compelling understanding of the meaning of good policing and how to bring that public good into being. Professor Nigel Fielding, Emeritus Professor, Department of Sociology, University of Surrey. This engaging book provides a new and valuable analysis of what we mean by police legitimacy, public good and how this impacts on the ethics of the police. By offering new insights into this complex and changing topic the authors provide a thought provoking examination into how governance is managed through these complexities. Emma Williams, Deputy Director Canterbury Centre for Policing Research, Canterbury Christ Church University. Policing and Public Management fills a much needed gap in understanding policing from a governance and organisation viewpoint. It is theoretically sophisticated but also engaging and accessible. Frontline police will recognise the account of their work, at the same time academics will draw upon its theoretical insights. Professor Graeme Currie Professor of Public Management, Warwick Business School. 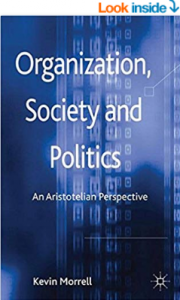 (2012) Organization, Society and Politics: An Aristotelian Perspective. Relates Aristotle’s analyses of politics and ethics to the power, rhetoric and ethics of contemporary organization. Some of this has been done before, but rarely, if ever, has it been done so competently, critically, constructively and compellingly. Weaving together insights from several disciplines in arguing for Aristotle’s continuing importance, Kevin Morrell here establishes himself as an incisive voice in contemporary Aristotelianism. 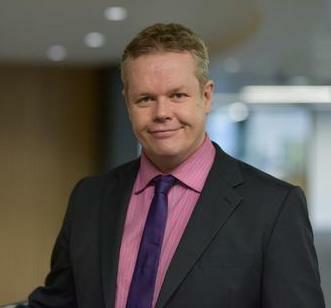 Dr Kelvin Knight, Director, Centre for Contemporary Aristotelian Studies in Ethics & Politics (CASEP). 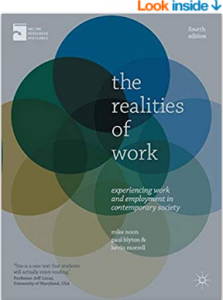 Amply demonstrates the relevance of Aristotle’s thought to the twenty-first century world, suggests fresh approaches to the problems of modern organizations and of society at large. Richard Stalley, Professor of Ancient Philosophy, University of Glasgow. An original and conceptually rigorous contribution to Management and Organization Studies. Iain Munro, Professor in Business Administration, Innsbruck, Austria. It is common that texts about management pretend to be clever, and decorate themselves with a little philosophy in order to do so. In Kevin Morrell’s book, we see the reverse, the intelligent and subtle use of Aristotle’s philosophy to try to understand the nature of the challenges which management and governance presents us with. This is an important work. Martin Parker, former Editor in Chief of Organization: The Critical Journal of Organization, Theory and Society, University of Leicester School of Management. (2013) The Realities of Work. Story-structures underpin how we make sense of many organizational phenomena like change and leadership. Understanding stories can help organizations find and communicate their purpose. Professor Morrell is intrigued by the role stories play in helping people to translate the complex social world. 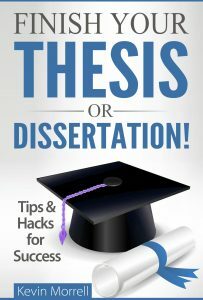 He has published in many leading peer-reviewed journals on this topic. The images below illustrate that although stories can vary in terms of their detail and colour, there are often structural similarities to them. 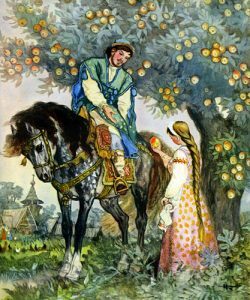 In these examples, the “hero” is being transported to an object of search which is a recurring theme in many folk tales and contemporary fiction. This approach to understanding story structures can be used to understand how people make sense of individual and organizational change as well as how they see the role of leaders. 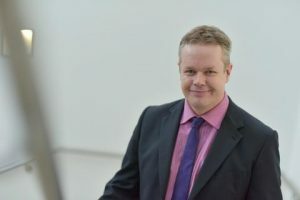 Professor Morrell is a globally recognised authority on employee turnover. Through collecting hundreds of stories on why people quit their jobs, he has built on a radically new approach to thinking about turnover – the ‘unfolding model’. His research translates and applies academic work into actionable strategies to help any organization manage turnover more effectively. If you have ever fully costed what happens when a good employee leaves, you will know what value can be realised from preventing just one person quitting. Understanding this is particularly important during times of change. Centre strategy is set by group members with advice from an expert steering group. We welcome suggestions for collaborative research. Please contact the Centre Director Professor Kevin Morrell, who will be delighted to hear from you. High quality Doctoral research is central to our mission at COS. Under the supervision of the Centre’s faculty members, we provide an excellent research environment, including regular opportunities for our Doctoral candidates to engage with and shape frontier research. If you want more information about applying to Durham please contact us. Leventis, S., Dedoulis, E. & Abdelsalam, O. (2018). The Impact of Religiosity on Audit Pricing . Journal of Business Ethics 148(1): 53-78. Brandl, B. & Ibsen, C.L. (2017). Instability and Change in Collective Bargaining: An Analysis of the Effects of Changing Institutional Structures.. British Journal of Industrial Relations 55(3): 527-550. Griffin, M., Harding, N. & Learmonth, M. (2017). Whistle while you Work? Disney Animation, Organizational Readiness and Gendered Subjugation. . Organization Studies 38(7): 869-894. Young, S., Nagpal, S. & Adams, C. (2016). Sustainable Procurement in Australian and UK Universities.. Public Management Review 18(7): 993-1016. Cabantous, L., Gond, J. P., Harding, N. & Learmonth, M. (2016). Critical Essay: Reconsidering critical performativity.. Human Relations 69(2): 197-213. Adams, C.A., Potter, B., Singh, P.J. & York, J. (2016). Exploring the implications of integrated reporting for social investment (disclosures).. The British Accounting Review 48(3): 283-296. Hirst, A. & Humphreys, M. (2015). Configuring bureaucracy and the Making of the Modular Man. Organization Studies 36(11): 1531-1553. Ahmed, H. (2015). Basel III liquidity requirement ratios and Islamic banking.. Journal of banking regulation 16(4): 251-264. Vigneau, L., Humphreys, M. & Moon, J. (2015). How do firms comply with international sustainability standards? Processes and consequences of adopting the global reporting initiative.. Journal of Business Ethics 131(2): 469-486. Lim, M. & Moufahim, M. (2015). The spectacularization of suffering an analysis of the use of celebrities in ‘Comic Relief’ UK’s charity fundraising campaigns.. Journal of Marketing Management 31(5-6): 525-545. Belal, A., Abdelsalam, O. & Nizamee, S. (2015). Ethical Reporting in Islami Bank Bangladesh Limited (1983–2010).. Journal of Business Ethics 129(4): 769-784. Aldrich, P., Dietz, G., Clark, T. & Hamilton, P. (2015). Establishing HR Professionals’ Influence and Credibility: Lessons from the Capital Markets and Investment Banking Sector.. Human Resource Management 54(1): 105-130. Morrell, K., Learmonth, M. & Heracleous, L. (2015). An Archaeological Critique of ‘Evidence-Based Management’: one digression after another.. British Journal of Management 26(3): 529-543. Slack, R., Corlett, S. & Morris, R. (2015). Exploring employee engagement with (corporate) social responsibility a social exchange perspective on organisational participation.. Journal of Business Ethics 127(3): 537-548. Currie, Graeme, Tuck, Penelope & Morrell, Kevin (2015). How hybrid managers act as “canny customers” to accelerate policy reform: A case study of regulator-regulatee relationships in the UK’s tax agency.. Accounting, Auditing and Accountability Journal 28(8): 1291-1309.
Cooper, S. & Slack, R. (2015). Reporting practice, impression management and company performance: a longitudinal and comparative analysis of water leakage disclosure.. Accounting and Business Research 45(6-7): 801-840. Morrell, K. & Learmonth, M. (2015). Against evidence-based management, for management learning.. Academy of Management Learning and Education 14(4): 520-533. Huang, H. & Mitchell, V.W. (2014). The Role of Imagination and Brand Personification in Brand Relationships. Psychology and Marketing 31(1): 38-47. Larsen, G., Patterson, M. & Markham, L. (2014). A Deviant Art: Tattoo-Related Stigma in an Era of Commodification.. 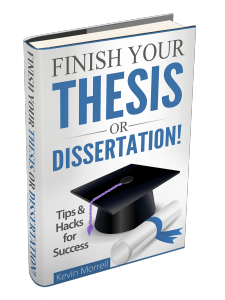 Psychology and Marketing 31(8): 670-681. Elnahass, M., Izzeldin, M. & Abdelsalam, O. (2014). Loan loss provisions, bank valuations and discretion: A comparative study between conventional and Islamic banks. Journal of Economic Behavior & Organization103(Supplement): S160-S173.